Years ago, four friends began gathering for dinner during the JPM healthcare conference in San Francisco. They came together to compare notes and support one another as they pursued careers as healthcare VC’s. They built camaraderie, shared deals and traded perspectives on investment strategies, the environment and professional advancement. Over the years, their numbers grew and the dinner expanded from a single restaurant table to private dining rooms to a large, dedicated event space. Earlier this month on the 8th anniversary of that first dinner, 110+ women – a group thirty times larger than the original gang – came together as a community, spanning financial to strategic healthcare investing firms and including levels from analyst to managing director. This year, special guest Maria Eitel also joined in the circle. Maria is co-founder of The Nike Foundation and Girl Effect and a leader of Hollywood’s TIME’S UP initiative to combat sexual harassment and discrimination. 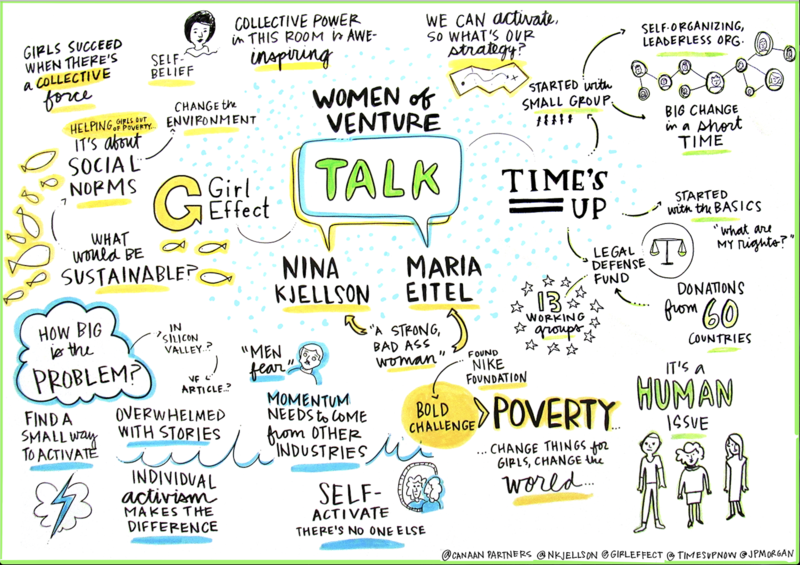 We invite you to hear the inspiring conversation between Canaan partner, Nina Kjellson and Maria Eitel in the video below. 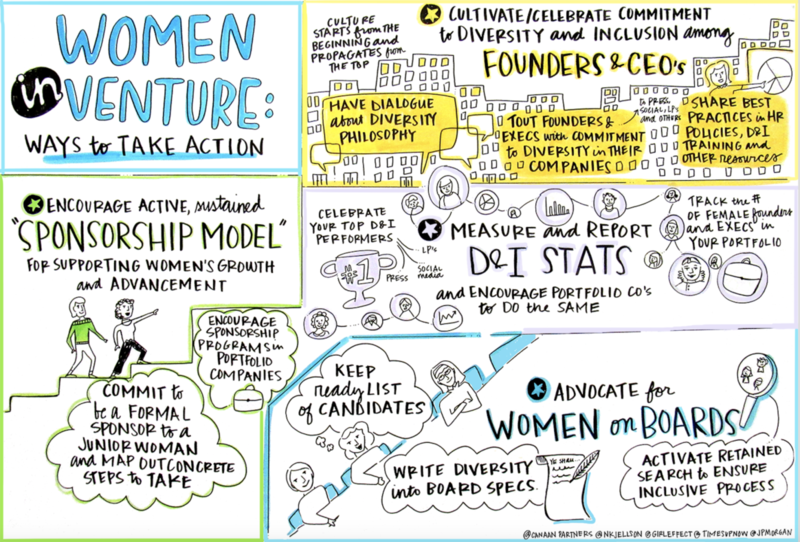 With a new year unfolding, please join the #womenofventure community and pledge to take at least one concrete action to support women entrepreneurs and executives in 2018. Given that women make most healthcare decisions and purchases, more frequently serve as caregivers, and represent more than half the healthcare provider workforce, it is only logical that women be equally represented among the stewards of healthcare innovation and investment.